A few months ago the husband came home from work with a present for me! 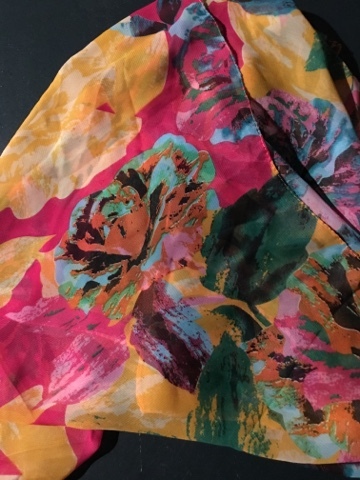 Apparently one of the girls he works with took a trip to the middle east and brought back a bunch of beautiful scarfs for all of her co-workers, my husband being a male got to bring a scarf home for me! 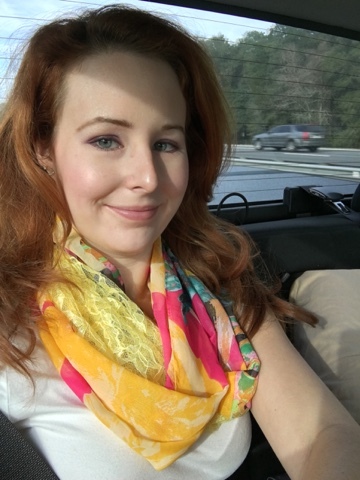 A beautifully bright colored scarf! Now, I like scarfs as much as the next person but I really prefer them to be infinity scarfs. I just love how they look all bunched up! 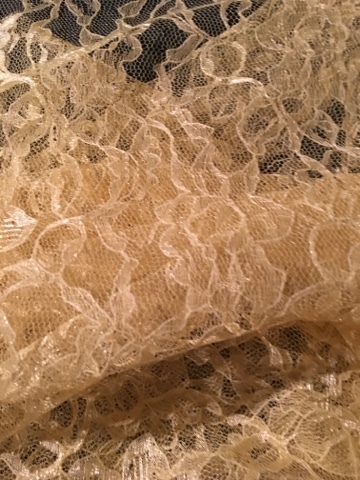 I took a piece of yellow lace and sewed it to the scarf to make it an infinity scarf. I wore my new scarf on our drive down to Florida. Who says you can't be comfy and look cute too, when on a road trip! 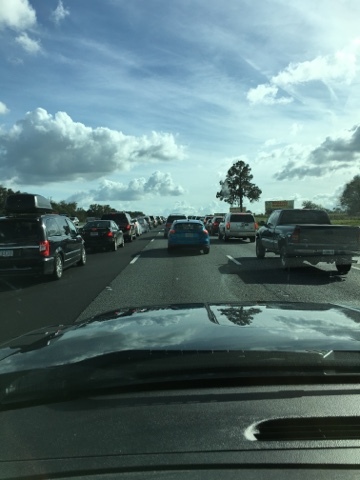 We hit Florida and ran into a long backup of traffic. So close yet so far! Perfectly cute for traveling clothes! I like the delicate lace and beautiful bright colours combined. Thank you! I love all thr colors in the scarf!